Ask fellow campers about "Yellow Smoke County Park" and nearby attractions. 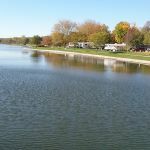 Campground is within beautiful county park w/fishing lake, paved trails, nature center. We were in lower campground w/back in sites. Plenty room to back in 37' 5th wheel with room to park p/u. Lots of colorful shade trees. No sewer, but dump station. 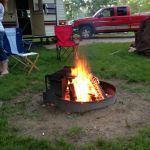 We camped at Yellow Smoke County Park in a Fifth Wheel. This is specifically a review of the north campground, at the top of the hill. This is a newer campground with sites suitable for longer RVs like our 41 foot MH. The lower campground sites appear to be shorter. Water and electric only, with solid power. No shade in the north campground, but the lower one has lots of trees. Hookups are side-by-side, with alternate parking direction required to reach the utilities. Our stay here was quite nice. There was at most one other RV in this CG midweek, so it was quiet. The lower CG was busier. 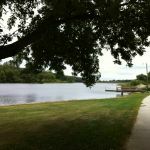 The park itself is nice, with a lake, shelters and nice views. Self-register, no reservations. Verizon phone and internet worked here. We camped at Yellow Smoke County Park in a Motorhome. 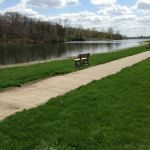 Are you affiliated with Yellow Smoke County Park ?